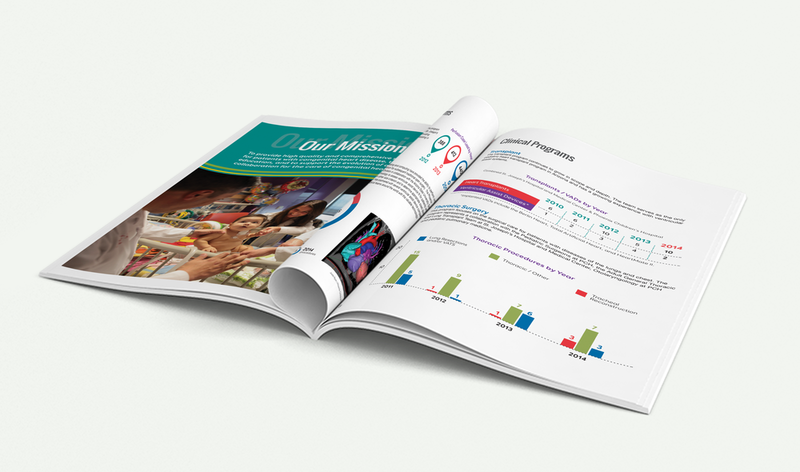 Brief: Design an annual report in line with the brand aesthetic of Phoenix Children's Hospital, that can serve as a working template to be updated each year moving forward. Source material from provided graphs and word documents, utilize owned stock photography, and create graphs and data visualizations for each section to illustrate their respective outcomes. Deliverables: Annual Report PDF with clickable table of contents for digital viewing & a printed 2-up saddle stitch booklet. Brief: Design a press kit using owned photography and provided copy to send to media outlets and potential investors as a reference to 8/Omakase as a business. Create layouts that feature the clothing and style and visually explain the process of the subscription service and directs viewers the Account Manager for PR.